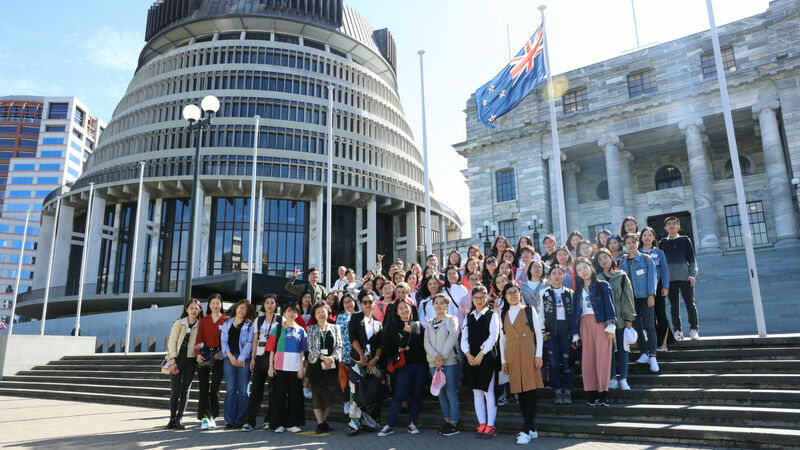 Our VUW CI Mandarin Language Assistants (MLA) Class of 2018 arrived in New Zealand over the first weekend of February, before heading straight into their week-long orientation programme to prepare them professionally and personally for their year-long placements across nearly 150 schools from Wellington to Tauranga. VUW CI has 58 MLAs in total in our Class of 2018, coming from eight of China’s top universities: Xiamen University, Beijing Language and Culture University, Beijing Normal University, Sun Yat-sen University, Guangdong University of Foreign Studies, Sichuan International Studies University, China’s Foreign Affairs University, and China’s University of Petroleum. The MLAs’ O-week programme included presentations by New Zealand educators and other experts on different aspects of the school system such as the pedagogical approaches, curriculum, school management structures, professional conduct, classroom behaviour and management, and online resources. The MLAs also made group visits to Wellington primary and secondary schools for a “real life” preview of New Zealand teachers and students in action in the classroom. Lifestyle and culture were important aspects covered Orientation. 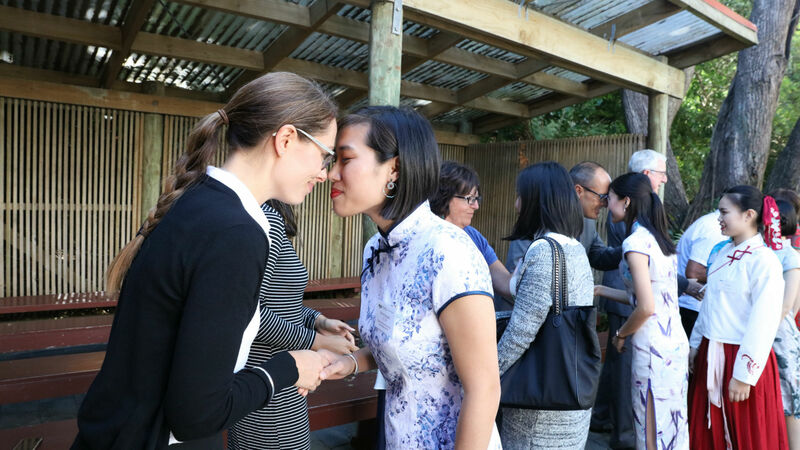 We recognise that while lifestyle and cultural differences often present the biggest challenges for new arrivals, they also have the potential to be the most enriching part of the MLAs’ experience here. This year, we took the MLAs on a guided tour of the New Zealand Parliament, and to the National Library for a tour of the Treaty of Waitangi and Universal Suffrage exhibitions, both providing stimulating and valuable context to New Zealand life. The Treaty of Waitangi exhibition had a particular resonance as we visit the day before Waitangi Day. One of the MLAs recounted to me later, how on Waitangi morning he had stumbled by chance upon some ceremonial/festive activities on the Wellington waterfront and, with the Treaty exhibition still fresh in his mind, was able to recount to a number of surprised foreign tourists the entire process of the Treaty signing and it significance…knowing the impressive knowledge retention of the typical Chinese student, he would have given them quite a detailed presentation! 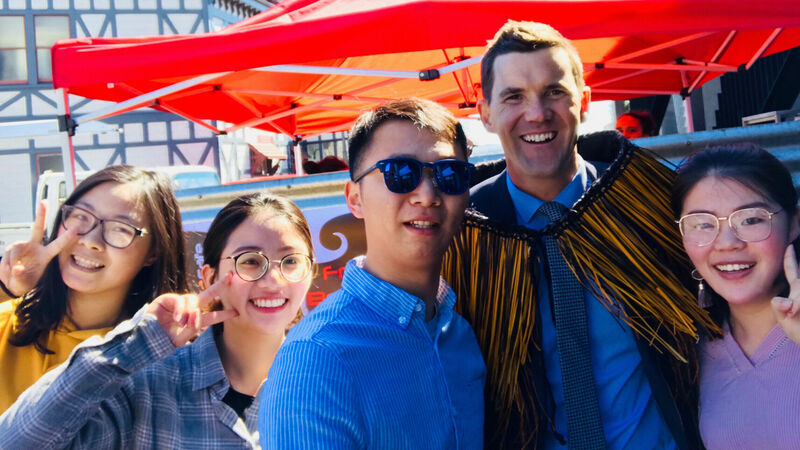 In another typically “New Zealand moment”, a group of the newly arrived MLAs also bumped into the Mayor of Wellington, and were amazed to have been able to take a photo with him. 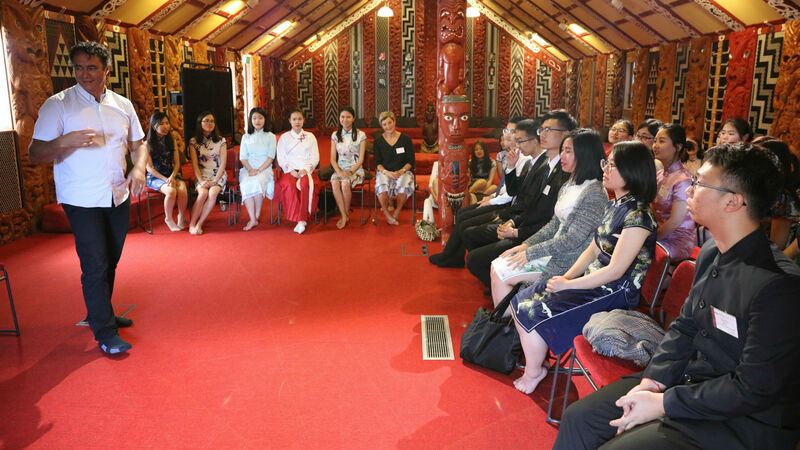 Without doubt a highlight of the week was the Powhiri for the MLAs at Victoria University’s Te Herenga Waka Marae, a unique and moving experience for them, followed by an informative explanation of Maori art and craft inside the Marae. We are grateful for the very warm welcome extended to the group by Deputy Vice Chancellor Rawinia Higgins, and the wonderful support of Te Herenga Waka Marae for making the MLA’s first contact with Maori culture in New Zealand authentic and unforgettable. At the end of Orientation Week, our MLAs dispersed to the four corners, specifically to: 148 primary and secondary Schools across 24 cities and towns including Wellington, Palmerston North, Wairarapa, Whanganui, Whakatane, Hawke's Bay, Gisborne, Rotorua, Tauranga, New Plymouth and elsewhere. During the course of the year we will be reporting further on their activities and accomplishments, both in Chinese language teaching, and in holding our trademark “Discover China” cultural activities. We wish them well!